The Second Annual “Girl Scout Antiques Road Show” took place on Saturday, April 5, alongside the Nation’s Capital Annual Meeting. Following the theme of “Preserving Our Story,” members of the GSCNC Archives and History Committee brought scrapbooks, quilts, and other unofficial items created to preserve their unique Girl Scout experiences. 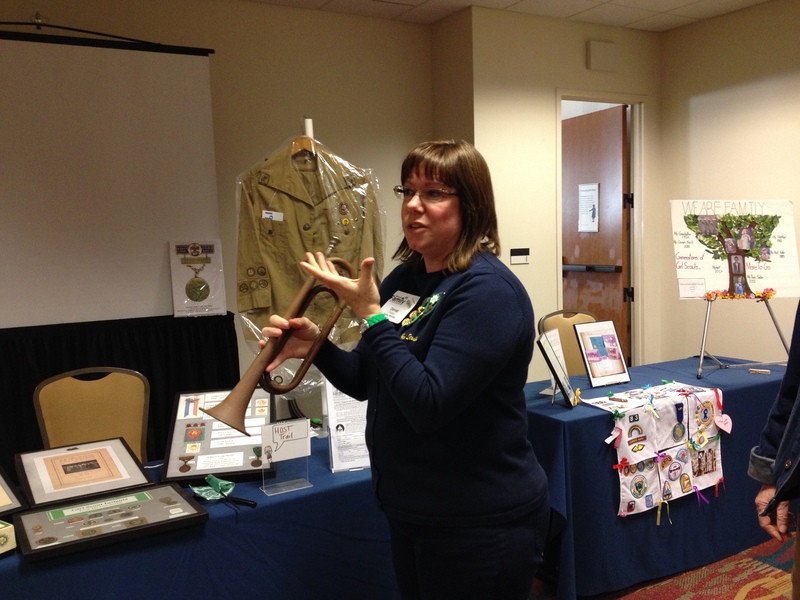 Delegates and guests were encouraged to bring their own Girl Scout memorabilia to share. Committee member Julie Lineberry (second from right) identifies an old Girl Scout publication. 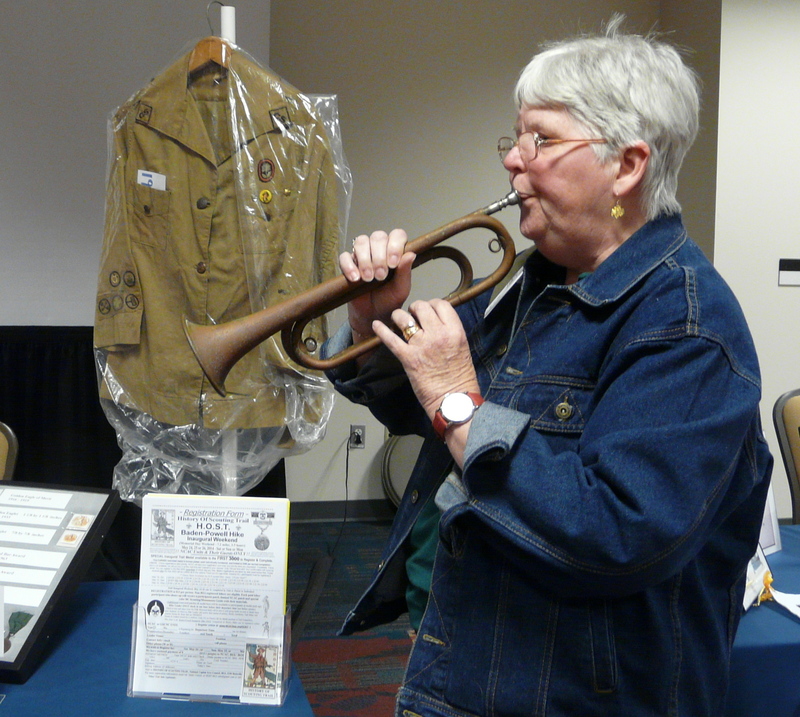 The authentic Girl Scout bugle was a big hit. Denise Tomlin explains her bugle technique. We also enlarged selected photos from the many scrapbooks in our collection that are too fragile too display. 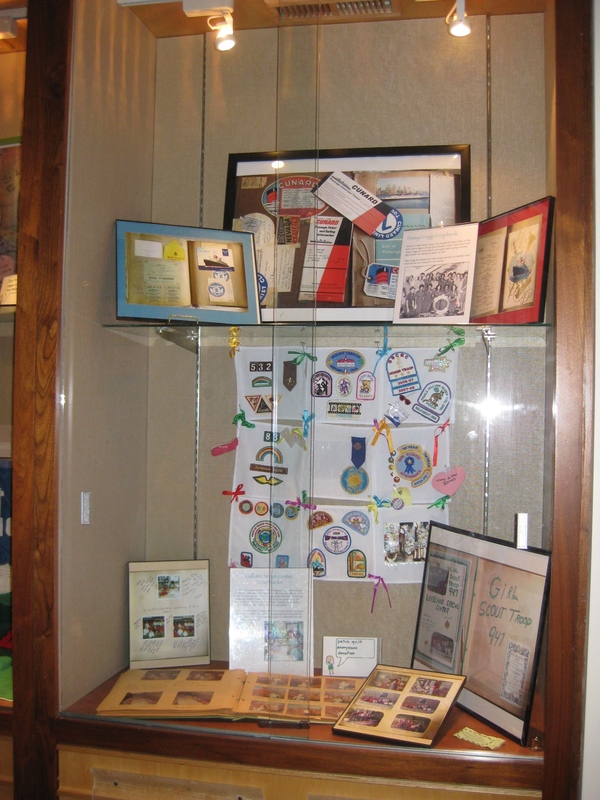 If you didn’t make it to the Archives exhibit at the Annual Meeting, you can still see many of these items on display at the Council office at 4301 Connecticut Avenue NW, Washington, DC. 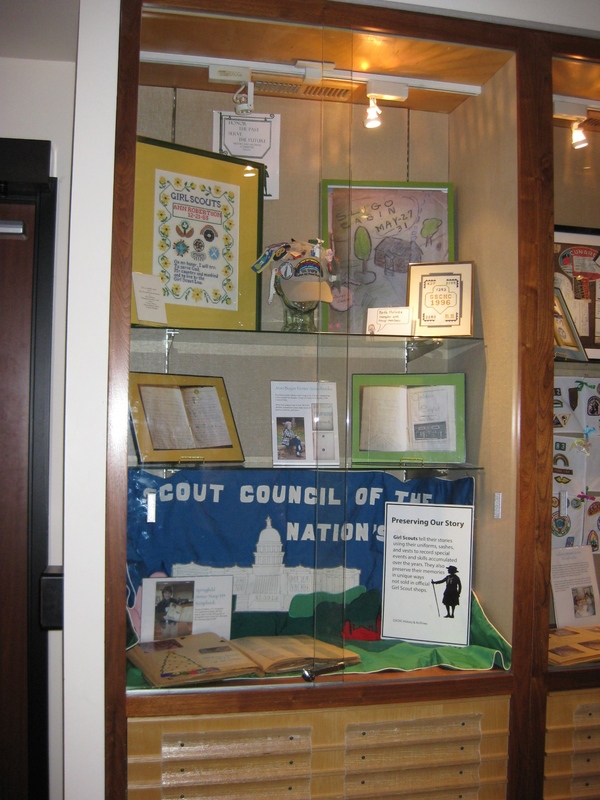 This entry was posted in Badges, Embroidery, Exhibits, Memorabilia, Quilts, Scrapbooks and tagged camping, Girl Scout Council of the Nation's Capital, Girl Scout history, Girl Scout memorabilia, Girl Scouts, GSCNC, museums archives, Nation's Capital Annual Meeting. Bookmark the permalink.